Part of the BARBARAS Crew with Fancy Nancy, 44-6465. Back Row L to R.: Fredette; Robert Sweeney; Barbaras; Ellis. Front Row: Johnson; "Amigo" Reyes; Hagler. Eisenberg is not pictured, because he was still in the hospital with the bloody finger. 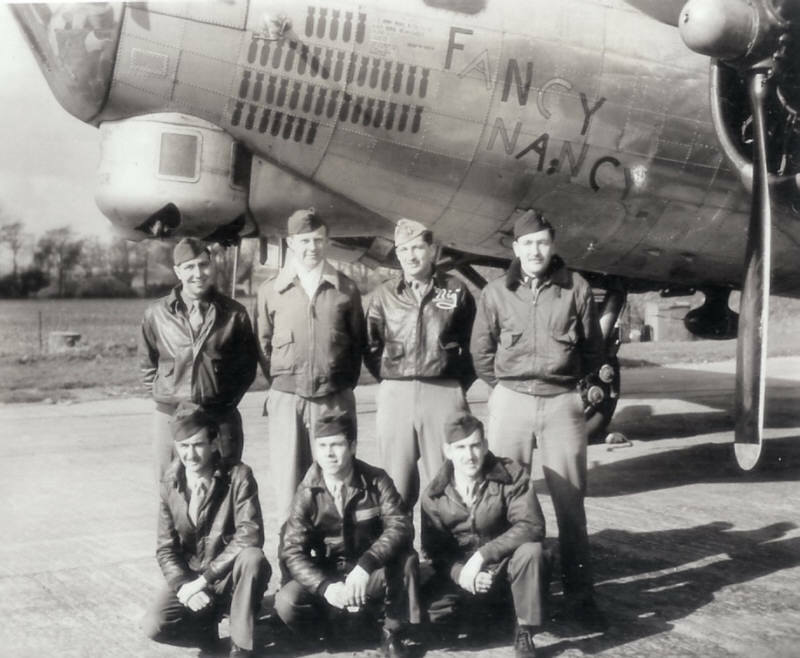 Eisenberg had been WIA in Fancy Nancy on the 25 February 1945 mission.